We all look forward to that first day of the year when it’s finally warm enough to take a running leap into our pool, just like how we all shed a tear when the seasons turn months later, forcing our bathing suits into retirement yet again. 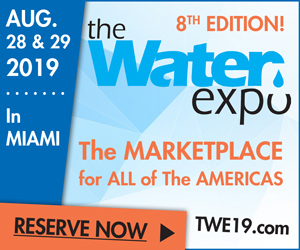 When you choose to deck out your home’s pool with a solar water heater, though, you give yourself the chance to enjoy substantially more swim days every year—without adding a dime to your monthly utility bills. Between the durability and reliability of modern solar technology, you are sure to recoup your renovation expense in no time. 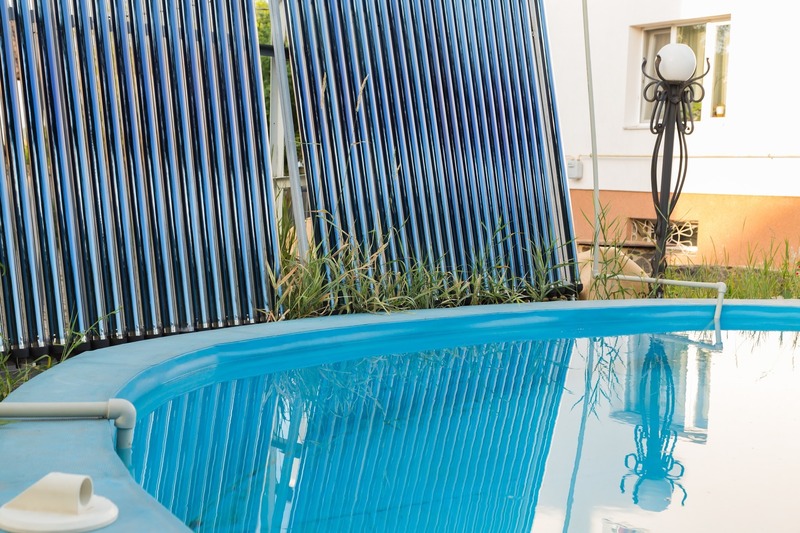 Here are the top reasons for why a solar pool heater is a great investment for your home. Relatively comparable in price. Regardless of the pool heating system you choose, each one is relatively comparable in price. Although gas and electric resistance heaters are less expensive than electric heat pumps, you can still expect to spend around $2,500 (USD) for components and installation. This price will balloon two to three times as much when installing an electric resistance heater, due to the wiring upgrades that are usually necessary to support the large amount of electrical current the system requires. On the other hand, the average solar pool heaters will run around $3,000 to $4,000, depending on the size and location of the pool itself, how the solar panels are able to be positioned on the home and the desired temperature of the pool water. Advanced DIYers can save a third of the total expense by installing the solar pool heating system themselves. A proficient knowledge in plumbing and electrical wiring is needed, (and a full weekend free), but it is certainly not an insurmountable task. Before embarking on this renovation, though, be sure to fully read the manufacturer’s manual so that the installation doesn’t void any warranties. 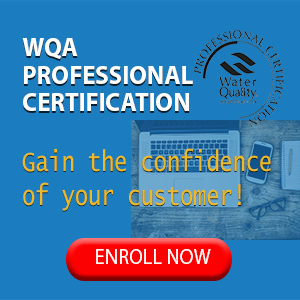 Also, most manufacturers will have how-to videos on their website that will assist in instructing on proper installation techniques. Monthly expense. Let’s face it, fossil fuels are expensive. Whether the impact is felt by the Earth or our very own wallets, the costs of maintaining a gas or electric pool heater are high. Depending upon your city’s climate, one should plan on monthly expenses to swell by $100 to $300 a month, at least. When you opt to go with the free power of the sun instead, the investment will pay for itself in two to three years. Solar heaters are effective. Being comparably priced is a wonderful attribute only if the product is effective. Thankfully, that is definitely the case for solar heaters. 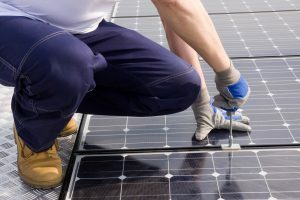 So long as the solar panels are positioned properly to garner the full power of the sun’s rays, then one can expect to adequately increase the pool’s temperature by up to 15 degrees (in most cases). 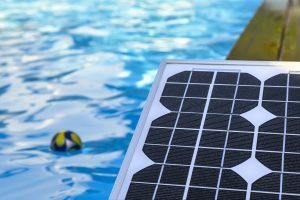 The best way to ensure the pool’s warmth, especially once the weather starts turning cooler, is to utilize a solar blanket over the pool whenever it is not in use. Think of the pool as a pot of water you are trying to get to boil. If you leave the lid off the pot, the water will eventually boil, but it will take a substantially longer time to make this happen. If you cover your pot with a lid, however, the water will only need a few minutes to rise in temperature. A solar blanket effectively performs the same duty as the lid by trapping in heat and preventing excessive water evaporation. 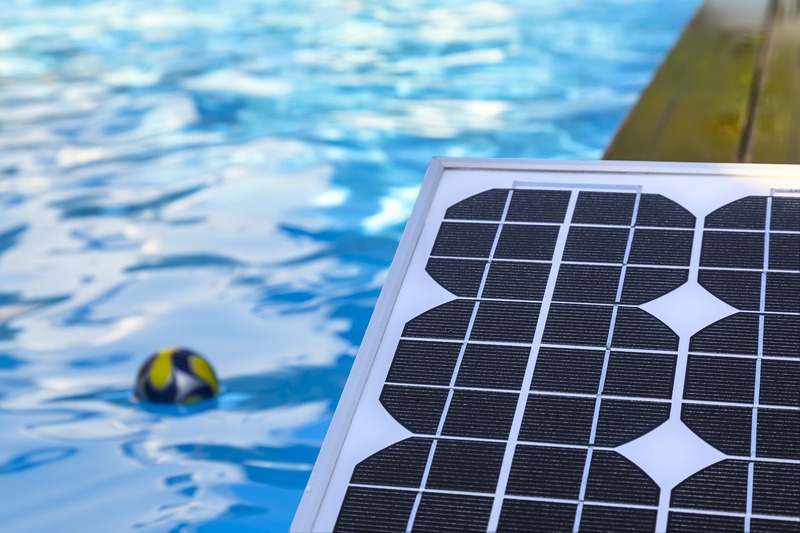 Solar technology extends the swimming season. In general, pool water temperature will be fairly comparable to the ambient air around it. That’s why when the temperature starts falling into the low 70s, most people won’t be able to stand a dip in the pool anymore. A heater of any kind is not mandatory, but owning a pool has expenses regardless of whether it is being used or not. If you’ve already installed a pool, then you’re already heavily invested—so why wouldn’t you want to eek out as many swimmable days as possible? By choosing to add a solar pool heater, you’ll get to enjoy that investment more with a solar heating system that will pay for itself. Keep it cool. One of the little known facts about a solar pool heater is that it can actually lower a pool’s temperature as well! Nobody can cool off in 90+ degree pool water at the peak of summer heat. 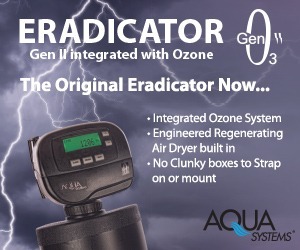 By running a heater system overnight rather than during daylight hours, the circulating water will cool several degrees, making it far more comfortable the following day. Durability and reliability. Gas swimming pool heaters can be rather finicky and require a fair amount of maintenance. All that maintenance is incredibly expensive, too, since the components inside the heater have to be able to withstand such high temperatures. Plus, gas heaters usually only have a lifespan of about five years. Electric heaters will provide a few more years of usage, with most lasting between five to 10 years, but they also require regular servicing from an AC technician. 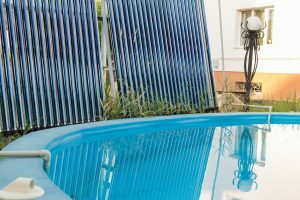 On the other hand, solar pool heating systems usually come with a warranty ensuring good service for 10 to 20 years and require little to no maintenance when the pool’s chemical balance and filtering system are in good working order. Environmental impact. One of the main reasons to opt for a solar pool heating system is ecological impact. 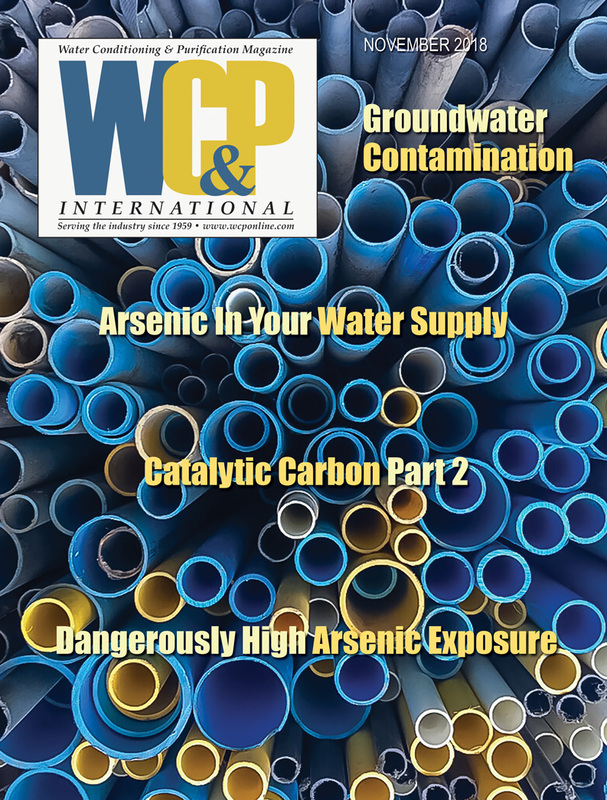 You can rest easy knowing that your comfort is not coming at the expense of extensive oil drilling and shipping or at the risk of harming your own family’s health. As always, clean energy is the best energy. With the sound investment in a quality solar pool heating system, one can enjoy the relaxing, warm waters of your own pool for years to come. Bryn Huntpalmer is an editor and writer for Modernize.com, Her goal is to empower homeowners with the expert guidance and educational tools they need to take on big, eco-friendly home projects with confidence. 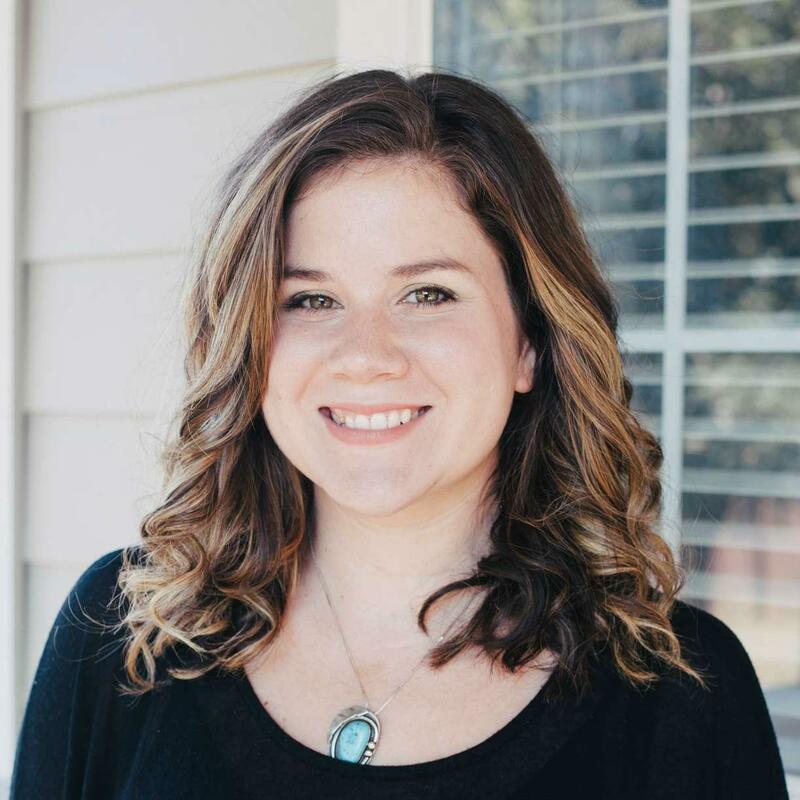 With a background in writing about energy-efficient topics relating to HVAC, solar, windows and roofing, Huntpalmer loves to help empower home owners with the resources they need to better their homes.